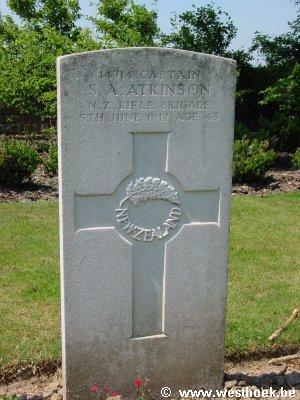 Captain SAMUEL ARNOLD ATKINSON 14714 "D" Coy. 2nd Bn. 3rd, N.Z. Rifle Brigade who died on Tuesday 5 June 1917. Age 43.